Home fitness Do You Need Special Shoes for CrossFit? 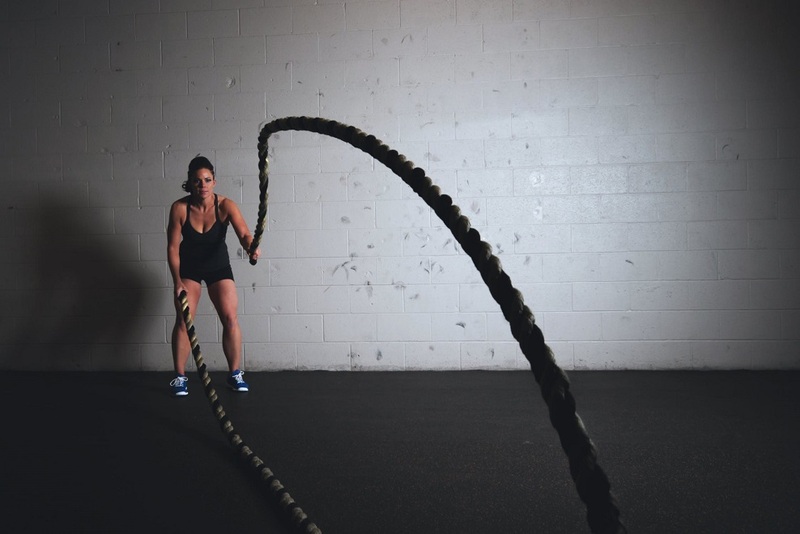 CrossFit is a workout regime that includes functional movements combined into the high-intensity workout. Some of the movements include running, jumping, climbing, lifting weights, and much more. Given the fact that CrossFit is a high-impact workout, in order to prevent injury, it is essential to wear the right shoes. Do I Need Special Shoes for CrossFit? The short answer would be YES! And here is why. Perfect shoes for CrossFit provide stability during weightlifting sessions, and absorbs the impact during running and jumping movements. Basically, you need weightlifting and running shoes combined in one. How to Select the Right Shoes? Good CrossFit shoes have to provide ankle protection during weightlifting and moving in all directions. Therefore, running shoes are not a good choice because they are designed to help you move forward. Also, running shoes have a spongy and soft heel which is a disaster for weightlifting, especially squats when your weight has to be in your heels. CrossFit shoes have a wide sole to provide stability during demanding movements. Another exercise that is a part of this workout regime is rope climbing. This is why a perfect CrossFit shoe has to provide traction and prevent you from sliding down the rope. This is achieved with rubber features. During high impact movements in all directions, what you need is a shoe that will hold your feet in place to avoid blisters and other skin lesions. CrossFit shoes need to be heavier to be able to provide the required stability during quick direction cuts and support during high box jumps or rope jumps. Volleyball shoes are a great alternative for beginners and if you currently cannot afford to buy new shoes. These shoes are designed to provide support during fast direction changes. Adidas Performance Men’s Powerlift 3.1. This shoe has a rubber insole, wide design, and a cross-over strap. All these features will provide you with extra support and stability during your workout. Aleader Men’s Mesh Cross-training Running Shoes. This is another great shoe that provides traction, shock absorption, and support. Reebok CrossFit® Nano 8 Flexweave™. This shoe for women is designed to provide a firm grip and stability. Running shoes are definitely the worst choice for CrossFit for all the reasons mentioned above. They are bad for lifting weights and will not provide enough support for the ankles. Basketball shoes should not be used for CrossFit either, because they are too bulky and they can restrict some ankle movements. CrossFit includes weight lifting, jumping, climbing, and high-impact movements with fast direction changes. Therefore, weightlifting or running shoes are not going to cut it. Good CrossFit shoes provide stability, ankle support to avoid injury, traction, but also allow you to move in all directions. If you are planning to become a CrossFit maniac, think about buying CrossFit shoes as in investment rather than an unnecessary expense. Needless to say that one of the most frequent reasons why people quit doing CrossFit are injuries as a result of wearing inadequate shoes.